PETALING JAYA: The three men detained on Tuesday morning in connection with two robbery videos that went viral have been remanded until Friday (April 27). Selangor CID chief Senior Asst Comm Fadzil Ahmat said two of the suspects, in their 30s had past records for robbery and drug offences. "We are investigating the extent of their crimes," he said when contacted. 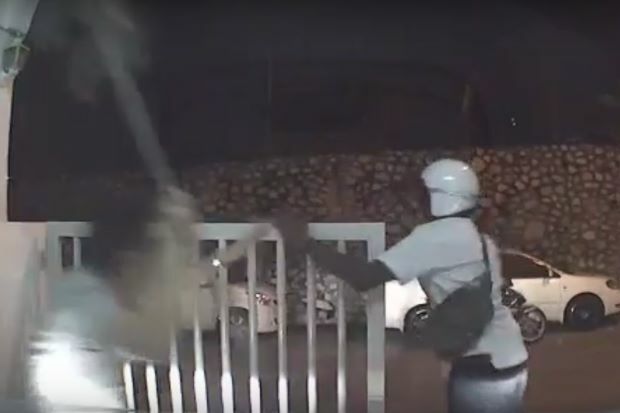 The videos depicted the robbers brazenly robbing their victims in front of their homes. SAC Fadzil added that the incidents occurred in Taman Berkeley and Taman Bukit Kuda in Klang last weekend. "We detained three men, including two seen in the videos. The third is the owner of the motorcycle used by the duo," he said. He added that the suspects were also responsible for another robbery case in South Klang on the same night the video was taken. "We believe they also robbed a house in South Klang on Sunday (April 22)," he said. 0 Response to "Suspects in viral robbery videos remanded for four days "